But would this awesome crossover come to the US? We know that Audi wants to double the amount of RS models from seven to 14. Part of this model increase has already come in the form of the RS3 sedan and TT RS. Now, Motoring has reported that it expects most of the new RS models to be SUVs, including an RS Q5. 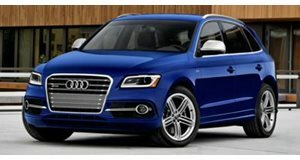 Audi recently announced the SQ5, which replaced the supercharged V6 with a 354 hp twin-turbo unit. The head of Audi's RS brand and former Lamborghini CEO, Stephan Winkelmann, said that there will be a new RS model at the 2017 Geneva Motor Show in early March. There is currently only one SUV model in the Audi lineup with an RS badge, the RS Q3. Unfortunately this model is not sold in the US. It is assumed that the new RS model will be a Q5 because Winkelmann said that “Geneva is in front of us, we’ll have a launch there which is going to be very important for us because it’ll set a new era of the B-segment [Q5 size] of Audi Sport for us. You will see very shortly what is going to happen.” It is uncertain which engine the RS Q5 will get. It could be a tuned version of the S5's twin-turbo V6 or even a Porsche-derived V6. Which ever engine is chosen, the RS Q5 would be quicker than the SQ5, which can hit 62 MPH in 5.4 seconds. The RS model could lower this time to under five seconds. It is unlikely that the car will use the RS3's 2.5-liter five-cylinder because Winkelmann said “we want to stick to the A-segment” with that engine. After the RS Q5, the next RS model is predicted to be an RS Q2 which would be revealed at Frankfurt. SUVs will be a big part of the RS lineup in the future, so an RS Q7, RS Q4, and RS Q6 are all in contention. We are glad to see that Audi is making more RS models, but we would also like to see some more sedans, wagons and convertibles instead of just SUVs. We are interested to see the new RS Q5, because it could provide some insight into the new RS4 and RS5.